In the early game the unbeaten Senior B side maintained their record with a 39-34 victory in a game that went right down to the wire. Up 19-15 at half time scoring three fine tries, Waihi scored quickly in the second half, pushing out to a 34-15 lead and looking in control. COBRAS found another gear scoring some quick tries to draw level and set up a thrilling final few minutes. Waihi controlled the final phases of the game and were rewarded when Azza McCloud crashed over to give Waihi their narrow win. In the Senior A game COBRAS started strongly with their big forward pack dominating the opening quarter of the game. They scored three tries in this period, all tries coming through their forwards crashing over from set pieces close to Waihi's line. Living off scraps of possession Waihi held their own for the remainder of the half but could only manage a Reuben Meares penalty to trail 19-3. COBRAS scored early in the second half, but their big men were starting to tire. Waihi kept playing at pace, with half back Carlos Roberts scoring from a quickly taken penalty. Flanker Ford Ainsley scored soon after to keep Waihi's hopes alive. At 15-26 Waihi were creating most of the scoring opportunities, but unfortunately COBRAS capitalised on a late Waihi mistake to score the final try for a 31-15 victory. 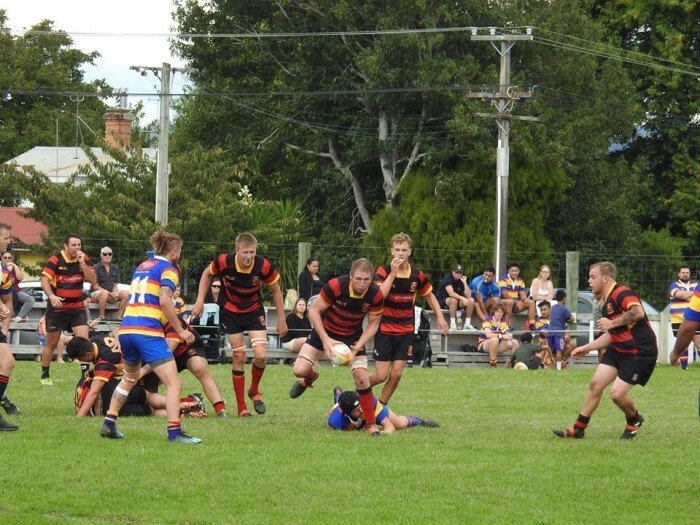 Waihi can be proud of their second half effort with players of the day winger Charles Pipe and second rower Dylan Horne having stand out games. Hopefully with some injured players returning in the coming weeks Waihi's fortunes will change on the scoreboard. Next Saturday the Senior B's travel to Ngatea with the Senior A's away to Coromandel.